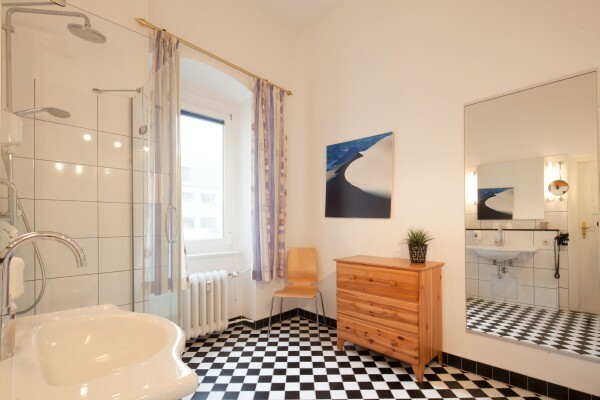 Classic rooms: 20m², french bed 1,60m wide, small or spacious bathroom. All classic rooms are quiet and present a view towards the lovely kept garden. Mrs. Lilli Brandies, senior manager, is a passionate gardener and enjoys planting a selection of annuals in between rhododendrons, hostas and hydrangeas. 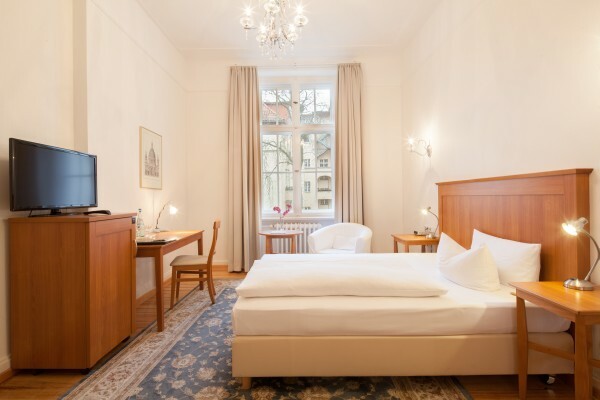 Sleep comfortably and quiet in the City West of Berlin. Start your day with the friendly chirping of the birds. 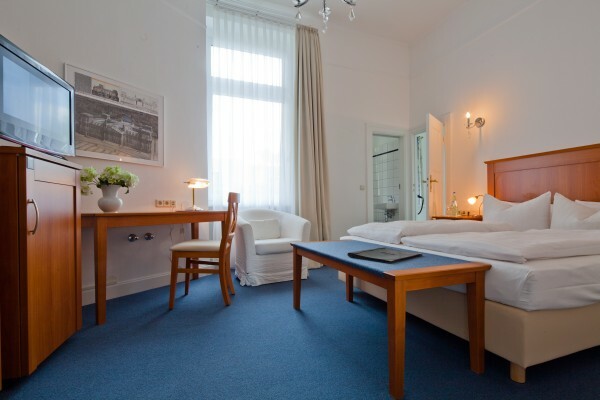 Classic rooms come with small or spacious bathrooms with separate toilet: 20 m² - including bathroom. 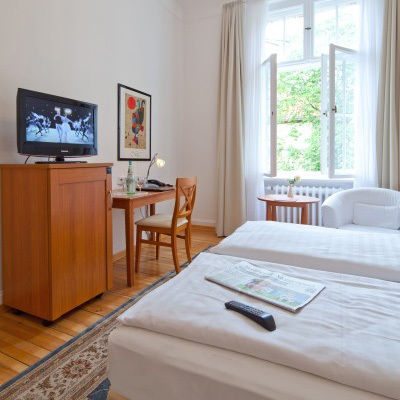 All classic rooms offer a french bed 1,60m wide for 1 or 2 persons. 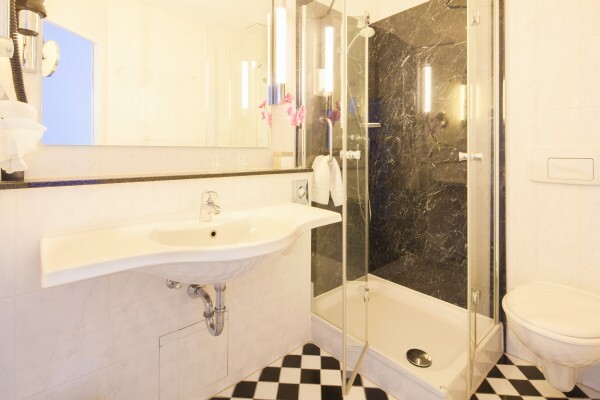 Rooms with number 1 in the end have a small bathroom, rooms with number 4 in the end a spacious one with separate toilet. All classic rooms are equipped with desk, minibar, flat screen TV, phone, radio alarm clock, armchair, free tea facilities and wifi. All classics are best sellers. Some guests prefer the spacious bathroom with separate toilet. 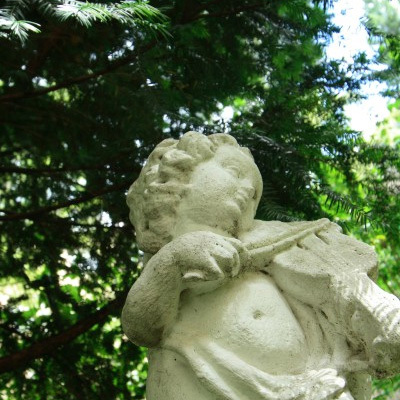 Enjoy the quiet view into the garden and it's special athmosphere.